Cg is the key to unlocking the power of a new generation of programmable graphics hardware. 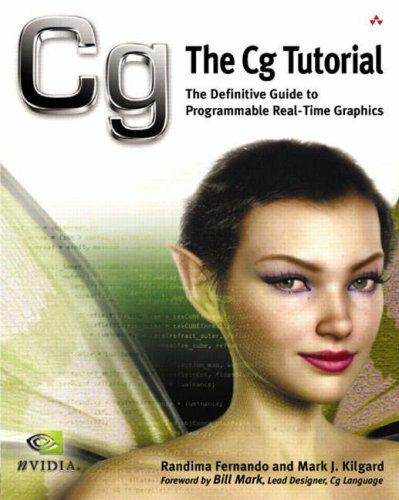 This book is the definitive introduction to Cg, and will be essential for anyone programming high-quality real-time graphics. The Cg Tutorial will teach you to use Cg to create effects never before available for real-time applications. From the table of contents: Mathematics and Physics for Computer Graphics; Foundations of 3D Rendering; Better, Faster, More; Advanced Techniques; Digital Imaging; Procedural Generation of Virtual Worlds. 32 lessons, 166 chapters, C++ source code. This is the definitive work on file formats -- the book that will become a classic for graphics programmers and everyone else who deals with the low-level technical details of graphics files. It includes information on nearly 100 file formats. Nvidia's programming language Cg is one of several commonly used shading languages for real-time rendering. These shading languages are used to program shaders (i.e. more or less small programs) that are executed on a GPU (graphics processing unit).